Strange odors from the water supply can actually be quite unnerving to homeowners. Everyone will get a little suspicious of the water if it is stinking. However, your water supply may not actually be bad since there can be many different reasons for the strange odor in the system. Here are the five most common causes of strange odors in your well water. The rotten egg smell can only come from one source –sulfur. Sulfur bacteria can enter the water in your well through a number of ways which can cause the odor. The common reason for sulfur is the absence of oxygen, which creates the sulfide gas. Any chemical reactions in the groundwater near the well can also trigger an increase in sulfur content. The way to treat this issue is to invest in an aeration system. Professionals will be able to install these systems in your well easily. The system is designed to dissolve the sulfur bacteria by using catalytic carbons and dissolved oxygen. If you are unable to acquire this system, you can also use a chlorine injection to clear the sulfur. The musty smell usually comes from the hot water tap. This is a result of increased iron content in the water. This means that your water isn’t really harmful even though it may have a bad taste. Another indicator that you have too much iron in your water is the buildup of slime around the plumbing and toilet. You can simply install an iron filter to prevent problems in the future and get the iron out of the current supply by using chlorine. Organic materials can leak into the well causing a fishy odor. These materials are responsible for increasing elements like cadmium, barium, and chloramines in the water. Cadmium and barium occur naturally and can seep into the plumbing system. Chloramines actually cause the fishy odor since they are a mixture of chlorine and ammonia. These materials aren’t harmful at all but you can still remove them using carbon-based filters or reverse osmosis. Sewage odors can enter the system due to the accumulation of bacteria in the drain or unused appliances. The gas lingers in the drain and is forced out when the water is turned on. You check whether the odor is coming from the drain or water supply through a simple test. Fill a glass from your tap and if it doesn’t smell than the odor is most likely coming from the drain. You should drain a mixture of water and soap to clean the system. Typically, well water never develops chlorine smells but on rare occasions, this can happen. It has a foul odor and can dry out your skin or irate your eyes if it leeches into your water supply system. You will have to install a specialized water filter to get rid of all the excess chlorine from the water supply. Even though most of these odors are pretty unpleasant, they aren’t an indicator of a bad water supply. Have your plumbing system and well thoroughly checked by professionals if the problem continues to persist. 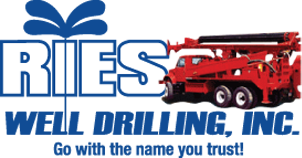 Give Ries Well Drilling Inc a call to answer any questions you may have regarding any smells from your water well. We can be reached at (586) 784-9516!